The best way to manage and secure your password list is to use a password manager. Data hacks and breaches are all too common, and relying on a memorized list of passwords – let alone reusing the same ones – is risky and outdated. The good news is, the best password managers – such as Dashlane, 1Password or LastPass – make logging into your online accounts feel effortless. They safely store your passwords, then automatically fill them in for you whenever you log into a site or service. Most can automatically generate secure, complex passwords for you, too. You don’t need to spend big for a password manager, either. Free suites are a decent start, but typically limit you to just one device. That’s little help when you need to log into the same online accounts on your laptop, phone and tablet. For around $20-$30 per year you can get all the service you’ll need across multiple devices. Still, not all password managers are created equal – so which do we recommend for keeping you safe online? 1Password – The best password manager we’ve tested. Easy to use and gives you plenty of control. 1Password is a fantastic choice for anyone wanting to make easy work of juggling passwords. Dashlane – A great interface and handy extra features, such as automatically saving receipts. Once set up, you’ll find that you’ll be logged seamlessly into websites automatically. You can even share your login details with nominated friends. LastPass – LastPass is a powerful app and has a great browser plugin, too. It’s also one of the cheapest available, which makes it a compelling choice for those after a good deal. Sticky Password – Nice automatic log-in feature and offers great value compared to rivals. The design isn’t going to win any awards, but overall it’s a good password app that works as intended. Read on for our verdict on why 1Password is the best password manager we’ve tested this year, plus our views on all the main password storage rivals. What Do Password Manager Apps Do? Using any password manager is a far smarter choice than trying to remember all your own passwords (or worse still, remembering just one and re-using it over and over). However, there are some differences between the main password manager apps. In our testing, we take into account features, ease of use and effectiveness. Of the brands we tested, 1Password came out on top, closely followed by Dashlane. Our top password manager for 2019 is 1Password, which is the best password manager we’ve tested – it’s very easy to use and is available for most mainstream devices. It has a very useful password generator, plus its auto login feature gives you a degree of control over the settings. It also has a large variety of specialized templates for saving information such as driver’s license details, passports, and software licenses, as well as document storage. The price is great, at about $36 per year for an individual. 1Password is also a solid choice for businesses, too, thanks to its robust features and dedicated customer support. Dashlane is a well-designed tool that’s all about simple automation. Once you’re set up, you’ll find Dashlane makes it effortless to log into your websites and online services. It requires almost no interaction on your part once the passwords are saved in your Dashlane vault. Dashlane will also automatically save information from online receipts, and has a sharing feature to let you share specific logins with other people. Dashlane’s hybrid mix of browser extension and desktop program means the former isn’t as robust as it could be. Still, it’s a great program, and ideal for anyone wanting a highly automated service. LastPass is another great choice for your password manager, and it’s one of the best-known names in the industry. LastPass has a lot of robust features, including support for file attachments to password entries, autofill and auto login, password generation, and secure notes. LastPass is a great choice for password manager novices. The price is right at $24 per year for individuals, and the fact that it’s browser-only (there’s no need to install a client/program on your desktop) means it’s one of the easiest tools to manage and maintain. There’s a separate, and easy-to-use, app that you can use for smartphones and tablets. 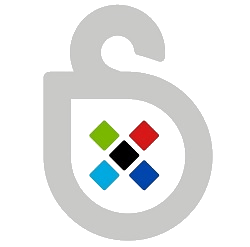 Sticky Password is another good choice for a password manager. It makes it easy to store your passwords and log in automatically to sites and services. It also has a helpful security dashboard that analyzes your database for weak and reused passwords. Its design leaves a bit to be desired, especially compared to the likes of Dashlane. The text for password entries is small, and it has a rather pointlessly designed feature for saving web bookmarks. Get 50% off a lifetime subscription to Sticky Password with this special offer. Let’s be honest: passwords are the bane of online life. Sure, they’re necessary, but passwords are still an exhausting, inefficient security mechanism. They require you to be creative when coming up with them, and to always think securely (no, using “psswd1” isn’t good enough). Security experts tell us we need a unique password for every account, and that they should be sufficiently hard to guess. If you have dozens or hundreds of online accounts, it’s impossible to remember all those secret codes. The longer and more complex your passwords, the more tedious it becomes to have to type them in, especially when using the smaller keypad on a phone’s touchscreen. This leads to bad habits, like re-using short, unsafe passwords over and over again. 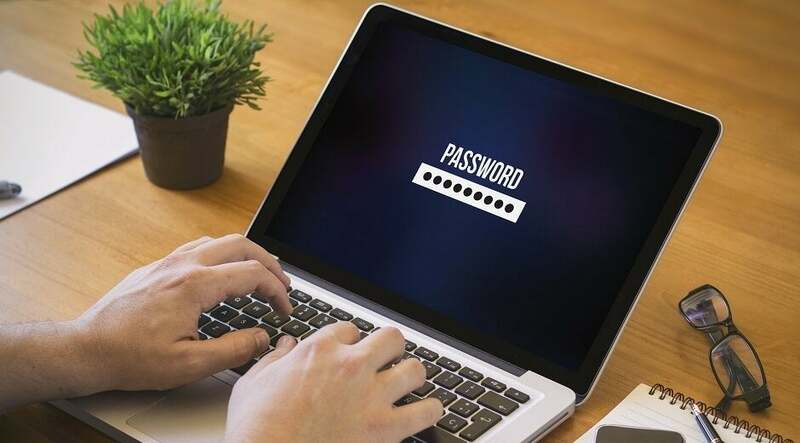 With a password manager, the hard work is done for you – these tools generate complex passwords that you’ll never have to remember yourself. The password manager automatically enters them whenever you need to log into a site. It’s all perfectly secure. You won’t need to come up with complex, unique passwords for every site – password managers do it for you. You won’t need to type in your login manually – password managers will autofill them in an instant. All of your passwords are stored in a secure digital vault by the password manager. This is only accessible by a single ‘master password’. This becomes the one and only password that you need to remember. With a premium password manager (for a very low monthly fee or annual license cost), you can access this vault from across multiple devices. So, you can use a password manager on your phone, on your laptop or on your iPad. In each case, a single click or tap of the screen, and you’re logged in safely. One day, perhaps it will be common to sign-in with your fingerprint or eye scan. Until then, don’t leave your online security to chance. Setting up an account with a password manager may be the smartest decision you’ll make. You’ll have to decide whether you want to go with a free password manager, or pay a monthly or annual fee for a premium version. Free usually restricts you to a single device and only local storage, as opposed to having your passwords backed up in the cloud and synced across multiple devices. Depending on the service, there could be other restrictions for free users, such as no option for sharing passwords with trusted, nominated people. Make sure your password manager is available on the devices you use. Windows, macOS, Android and iOS are usually all supported by the major paid-for password manager brands. If you run Linux or use a Chromebook, you may find there isn’t a desktop client available – however, you should still be able to use a password manager browser extension. Cloud sync is crucially important if you want to use your password manager across multiple devices. Put simply, it means all of your password details will be kept immediately up-to-date – controlled by the password manager – whether you’re logging in on your desktop or using your phone while out and about. Cloud sync is a paid service in nearly every password manager you’ll come across. While you can use free password managers, they’ll rarely offer multi-device syncing for all your logins. Pay an annual or monthly fee, and you can enjoy this core feature. Check that the password manager encrypts your passwords on your device before storing them in the cloud. This is standard practice for all mainstream password managers – free or paid-for – but it’s still worth double checking. For day-to-day uses, you’ll want a password generator in order to replace all those weak passwords you’ve been using. This feature is usually found on either free or paid-for services. It lets you generate passwords from around 8 characters up to 60 or more, and it should be able to use all variety of letters and special characters. Free or premium, all password managers will autofill your logins as you arrive on a webpage, provided you’ve stored those details with the software. However, you may want to be able to turn this feature off, if you need to – say, for extra security on a shared computer. Some premium password managers give you this flexibility. One other feature you’ll want is local storage, and it’s worth paying to ensure you can use it. This means your bank of passwords – including complex ones made up by a password generator – will be stored on your device, as well as synced to the cloud. This means you can still access your passwords and save new ones, should your password manager go offline. Without this function, you could run into login problems every now and then.